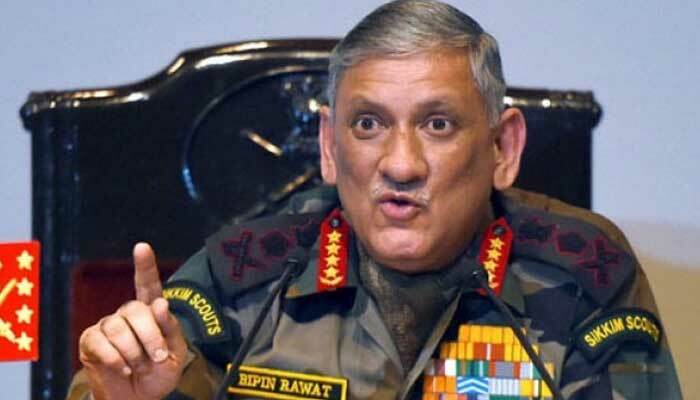 ISLAMABAD: The Indian Army Chief, General Bipin Rawat, called on Narendra Modi government to hold talks with Taliban but these should be without any preconditions. He has termed the Taliban as “Terror Outfit” in his statement. The Indian army chief’s comments on Wednesday, at the Raisina Dialogue, on engaging with Taliban are first such public remarks by a senior functionary of the Indian government on the subject. It is certain that India is poking its nose into the Afghan affairs and this would be out-rightly rejected by all concerned. At a time the United States and Russia are reaching out to the Taliban in Afghanistan,the Indian Army Chief General Bipin Rawat said “the terror outfit” should be engaged. Rawat who is known for issuing irresponsible statements has said that peace and stability in Afghanistan will be in interests of India, Pakistan and the entire region. “Yes, there should be talks with Taliban so long as they do not come out with any preconditions and solong as they are looking at lasting peace in Afghanistan and bring about stability in that country. It is in our interests, it is in the region’s interests and it is in Pakistan’s interests,” General Rawat said. He was asked about several countries engaging the Taliban as part of the Afghan peace process. “There can be no preconditions attached because when you start attaching preconditions, then it kind of gives a sense of a notion of victory (to them),” he said. The Indian army chief said Pakistan has always kept the Taliban in its backyard and cautioned Islamabad that it may be a cause of concern for the country’s security. Major Powers like China, the US and Russia are reaching out to the Taliban as part of efforts to push the stalled Afghan peace process. India has been using Afghan soil as its pawn for its nefarious activities against Pakistan, now is trying to find a role in the affairs of the war-torn country. India had sent two former diplomats in a “non-official” capacity to a conference on the Afghan peace process in Moscow in November which was attended by a high-level Taliban delegation. The Indian diplomats couldn’t attract attention of interlocutors. The conference organised by Russia was attended by representatives of Afghanistan as well as from several other countries including Pakistan, China and the United States. According to the media reports it was learnt that Iran is also engaged in talks with the Taliban. Iranian sources have said that in case India wants to use Iran’s channels of communication with the Taliban, Tehran will be open to such a proposition.